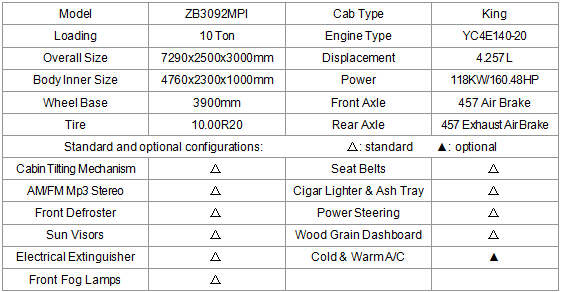 10-ton T-KING ZB3092MPI Medium Dump Truck has a cargo body inner size of 4760x2300x1000mm. The cabin brand is King, and the cargo body inner size is 4760x2300x1000mm. It can tilt on three sides, and its tyres are of 10.00R20. 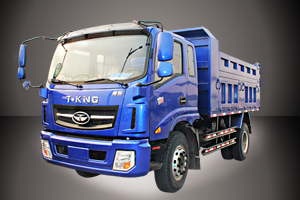 T-KING Ouling ZB3092MPI is also a dump truck very satisfactory to customers. If you are interested in T-KING Ouling ZB3092MPI, please email us or directly call us to inquire about its prices, and we will certainly offer you the most satisfactory prices. Our after-sales services are also first-rate and reliable.